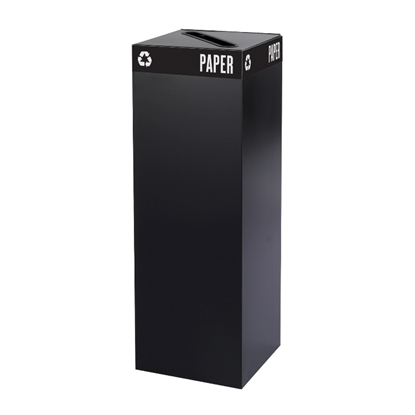 Browse our selection of office trash cans, waste bins and recycling bins for a place to discard your office wastes and recyclables. 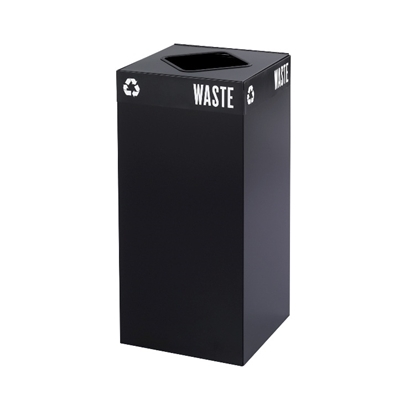 Furniture Wholesalers offers a variety of trash cans and bins to coordinate with your office decor. We sell top brands including Safco and Magnuson and most trash and recycling bins include a manufacturer's warranty. Express your environmental stance and make it easy to encourage recycling. The heavy-gauge steel base has a powder coat finish and the hinged tops are specifically designed to accept cans, glass, newspaper or waste. Includes decals designed to segregate waste and recyclables. Securing wires hold plastic container bags (not included) in place. The base has a 25 gallon capacity, choose a top that best suits the size of the base. Express your environmental stance and make it easy to encourage recycling. 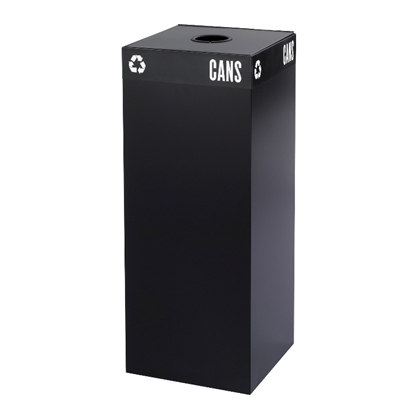 The heavy-gauge steel base has a powder coat finish and the hinged tops are specifically designed to accept cans, glass, newspaper or waste. Includes decals designed to segregate waste and recyclables. Securing wires hold plastic container bags (not included) in place. The base has a 31 gallon capacity, choose a top that best suits the size of the base. Express your environmental stance and make it easy to encourage recycling. The heavy-gauge steel base has a powder coat finish and the hinged tops are specifically designed to accept cans, glass, newspaper or waste. Includes decals designed to segregate waste and recyclables. Securing wires hold plastic container bags (not included) in place. The base has a 37 gallon capacity, choose a top that best suits the size of the base. Express your environmental stance and make it easy to encourage recycling. The heavy-gauge steel base has a powder coat finish and the hinged tops are specifically designed to accept cans, glass, newspaper or waste. Includes decals designed to segregate waste and recyclables. Securing wires hold plastic container bags (not included) in place. 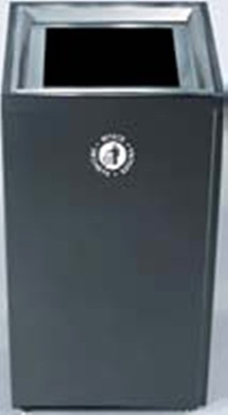 The base has a 42 gallon capacity, choose a top that best suits the size of the base. 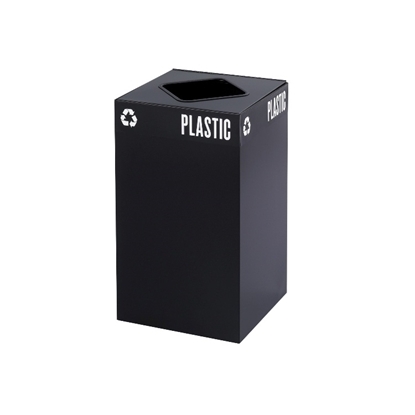 Magnuson VALUTA trash receptacles are designed to be durable and allow for a clean look. Available for recycling uses.